Which Composting Worms Make VermiCompost Faster? “Firstly, thanks for the always very interesting worm farming newsletters. I have just been given a whole lot of “Blue Worms”, they are very large and have this amazing blue stripe down their backs that shines in the sun. Their feeding habbits are very different from the “Red Wiggler”. 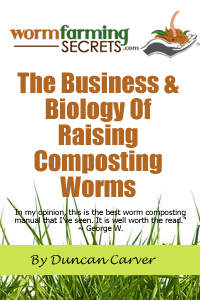 I think it starts us off really well to get back to the fundamentals of worm composting which is knowing your worm! Most people distinguish different worms using generic names such as ‘red wigglers’ or ‘night crawlers’. But what you must know is that these names are not very accurate. Very often the same names are used over a variety of different worms. The problem is that you don’t even know if the species you bought are any different because they look so similar. However the good news is the similar looking ones, although different in species, may also work in very similar ways. One example of this is Eisenia feotidas and Eisenia andrei (known as red wigglers or red worms). Some others work differently and are suited to different temperatures such as the Perionyx excavatus (the blue worm). To clearly distinguish worm species, scientific names are used. Many of you will have heard the scientific names but how does the naming work? Every known organism is placed in a category in the following order: Kingdom, Phylum, Class, Order, Family, Genus and Species. Humans and worms are both in the Kingdom ‘Animalia’ as we are both classed as animals. Our roads diverge in a different phylum classification. We are classed as ‘chordate’ because of our backbone, while worms are classed as Annelids because of their lack of bone, segmented bodies and a variety of other things. The name of each organism consists of two words used for classification. The first one is the ‘genus’ (plural is genera); the second is the ‘species’. For humans, we are in genus ‘homo’ which stands for most of our ancestors which stands on two legs, and we are of the ‘sapiens’ species. So this is how we get our name ‘homo sapiens’. Worms are named in the exact same way. Eisenia feotidas and Eisenia andrei are very similar being in the same genus but are yet of a different species. These differences are almost impossible to see by the naked eye and require very detailed analysis in order to distinguish between the two. The differences can be as subtle as the size of the flap outside the mouth to the position of the organs, clitellum etc. A side note for those who are particularly interested in science: The correct usage of the names requires that the genus name be capitalized and the species name to be of lower case. The names should also be in italics to distinguish it as a name. However I must admit that due to laziness, this is not always the case! Now many of you may know that composting worms are slightly special and different to other more common earthworms you find in the garden such as the Lumbricus terrestris (or the nightwalker, Lob worm or dew worm) being the most commonly known. For one, composting worms live and feed mainly near surface. Garden earthworms tend to make burrows. When they feed they will come out to look for food and bring it back down to the burrow with them. The reason why Lumbricus terrestris and other burrowing worms are not suitable for composting is because the conditions in the worm bin will not be right for it. You will need a relatively deep bin to enable it to burrow down. They also don’t like their burrows to be disturbed, so the moment you go around mixing your bin, they will move out! Probably the more popular choice for vermicomposting. This is also spelt as Eisenia fetidas for easier pronunciation. These are also known as red wigglers, red worms and tiger worms. These are tolerant of a wide range of temperatures, acidity and moisture conditions and are very fast workers. They can be handled very easily and quite tolerant making them a great species used for shipping for many businesses. Their optimal temperature conditions are 16°c -23°c, but can easily tolerate cold temperatures of 4°c and high temperatures up to 30°c. The ‘cousins’ of the the feotidas, they look very similar to each other but lacks the stripes. In terms of productivity they are comparable to their foetidas, and share similar tastes in terms of the temperature and environment. This is the scientific name for the blue worm or the Indian blue mentioned in this question. This is a tropical worm suitable for warmer climates. They are also very tolerant of handling and reproduce very well. The only downside is that once temperatures drop below 10°c they quickly die. They are small in size compared to the fetidas and are only 1-2.5 inches long. It is dark red or brown and has a blue sheen on the skin surface when viewed under light. A large worm also commonly known as the African Nightcrawler and is another tropical worm which reproduces and composts really quickly. Optimal temperatures are 15°c-25°c. They can tolerate higher temperatures but lower temperatures kill them. This is quite a special worm by the fact that it can dig as well as be used for composting. They don’t dig burrows in the way common garden worms do. Instead these work by moving from one layer to another layer mixing each other up whilst doing so. They are purple-maroon in colour and look similar to the feotidas but smaller. I have kept this to the last because of the controversial nomenclature it has undergone. Probably due to the quick spread of information on the internet from a wrong source, many people are led to believe that its name has been changed to Eisenia Hortensis. This is only half correct. The Dendrabaena Veneta had indeed undergone a change in classification which gave rise to many peoples confusion. It has changed its genus from Dendrabaena to Eisenia, and so it should be known as Eisenia Veneta instead. Eisenia Hortensis (previously Denrabaena Hortensis) is a different worm which is larger and lighter pink in colour, but the confusion was probably made when both worms were changed from the Dendrabaena to the Eisenia genus. After understanding how organisms are named, this also make more sense. Only their classification had been moved around, their species name did not need to be changed. However on the internet, when people say Dendrabaena Hortensis they are most likely referring to the Dendrabaena Veneta. They are also known as blue nosed worm, European nightcrawlers and the Belgium Nightcrawlers. Now to finally answer the question, which species makes vermicompost faster, the Eisenia Foetidas or the Perionyx excavatus? The very quick answer is the Perionyx excavatus. However this is not because of the worm itself being able to eat faster, but because of the temperature conditions these worms are normally found in. Perionyx excavatus or the blue worm lives in higher temperatures. With higher temperatures these species breed and work faster. 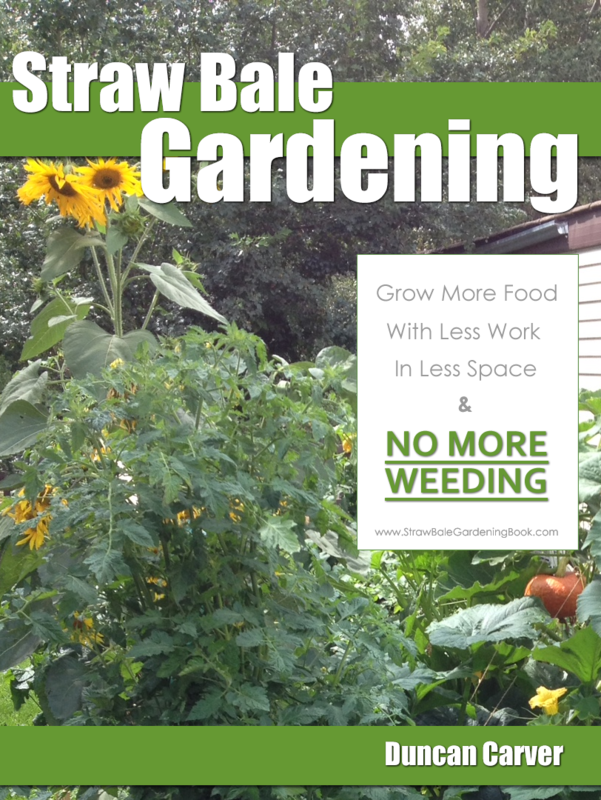 Micro-organisms in the compost bin work at a faster rate, breaking down food more readily for the worms. If you compare worm to worm, the blue worm is much smaller and many not be able to eat as quickly. I am not too sure that they do dig down and come back out to eat, but they do travel and move a lot which may give rise to this appearance. But in the end of the day I wouldn’t make a competition between the two worm species because they are both suited for different needs and environments. The blue worm are great if you live in a tropical environment. But for colder environments or ranging temperatures, the Red wigglers are always reliable.